Taurica - modern Crimea - is a peninsula on the northern coast of the Black Sea in Eastern Europe that is almost completely surrounded by both the Black Sea and the smaller Sea of Azov to the northeast. The ancient Greeks were the first to name the region Taurica after the Tauri. As the Tauri inhabited only mountainous regions of southern Crimea, at first the name Taurica was used only to this southern part, but later it was extended to name the whole peninsula. Greek colonies along the north coast of the Black Sea in the 5th century BCE. Greek city-states began establishing colonies along the Black Sea coast of Crimea in the 7th or 6th century BC. Feodosiya and Panticapaeum were established by Milesians. In the 5th century BC, Dorians from Heraclea Pontica founded the sea port of Chersonesos. In the 2nd century BC, the eastern part of Taurica became part of the Bosporan Kingdom, before being incorporated into the Roman Empire in the 1st century BC. 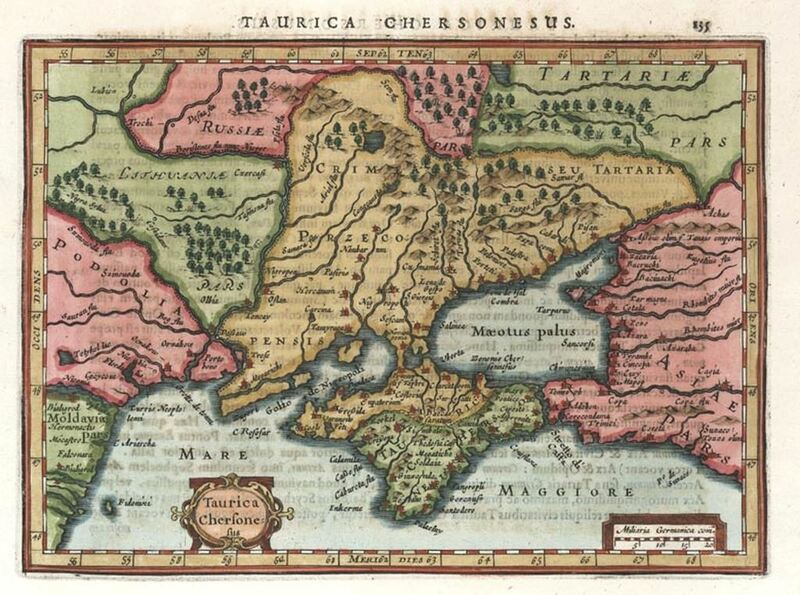 During the AD 1st, 2nd and 3rd centuries, Taurica was host to Roman legions and colonists in Charax, Crimea. The Charax colony was founded under Vespasian with the intention of protecting Chersonesos and other Bosporean trade emporiums from the Scythians.